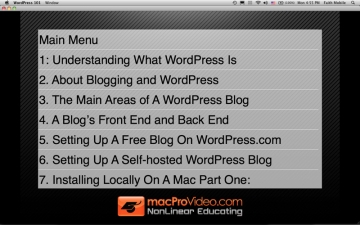 [値下げ] Course For WordPress 101 | Mac App Storeのアプリ検索・ランキング BuzzMac! ...got something to say to the world? ...looking to self publish? Blog it! 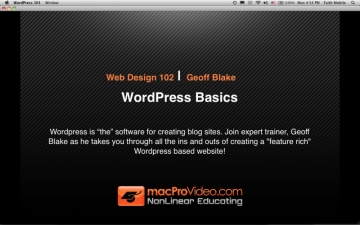 In the first part of this two part series, award winning software trainer, Geoff Blake, introduces you to all the ins and outs of creating awesome blogging websites using Wordpress. In his informal yet informative approach to training, Geoff takes you through all stages of blogging site design from installation to creating and editing posts. 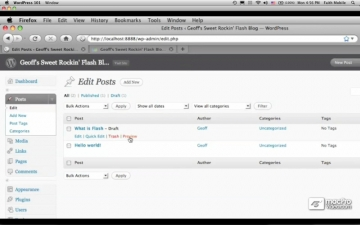 Along the way you’ll learn all about dashboard customization and individualizing the look and feel of your blog. Next he shows you how to drop in graphics, insert and edit images and videos to make your blog rich with features that will keep your audience coming back for more! 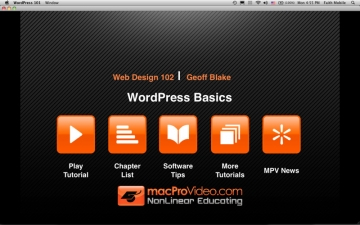 This tutorial, Wordpress Basics, is a must have for anyone interested in learning the essentials of Wordpress. 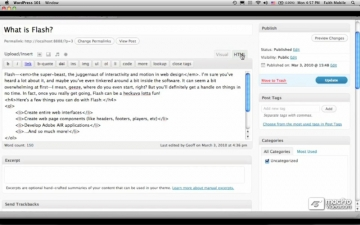 You’ll be up and blogging like a pro in no time!